Your holidays are one of the most important times of the year, its your chance to relax and unwind. And we can help you enjoy total peace of mind whilst you are away. Not only do our policies offer valuable protection for you and your family, they are also great value. Our single trip policies start from just £4.16 and annual multi trip policies from £30.59*. Columbus Direct is a leading travel insurance specialist, established in 1988 - and we’ve insured over 15 million people since then. Whether you want to backpack around Australia, ski in the Alps or simply lay on a beach with a good book, we can offer a tailor-made policies to meet your needs. We know how much your holidays mean to you and your family. That’s why we want to make sure you’re able to completely relax when you fly away, safe in the knowledge we’ll protect you. Our award-winning 24-hour emergency medical assistance team is always on hand if you need them. Plus, our simple, reliable approach to claims means that if you need to claim, it’ll be a straightforward process. We’re committed to being there for you when you need us most, and helping you in your time of need. You deserve the best care and the chance to fully relax; we’re the helping hand you can rely on. Live your life to the full and enjoy a carefree holiday, knowing we’re here if you need us. Don’t forget to get in touch with us if you have any questions about your insurance, or you’d like to find out more. You can contact us on 0800 0680 060 or by using the contact form on our website. We also have an easy-to-use dedicated FAQ section. Life occasionally throws a curveball, and if you’re abroad, this can be a challenging experience. The chances of something unforeseen happening are slim, but it’s always best to think about the unexpected. For example, what happens if you or your family need unexpected medical attention? What about if you lose your expensive sports kit, or your wallet and phone go walkabout? These things can happen, but if you’re insured by Columbus, you can jet off in complete confidence, knowing that we’ll come to the rescue if your plans change. We can take care of your medical bills if you’re ill, we’ll cover you for missing, lost or damaged bags and even provide an allowance to purchase essential items in the event that your checked-in baggage is delayed over a certain period of time.. Put simply, you’ll never be alone - we’ll just be a phone call away. Apply for one of our tailor-made policies, and allow us to shoulder the responsibility instead. You’re free to go and make the most of your holiday; It’s your world - enjoy it! I’ve just turned 50 – will you be able to protect me abroad? That’s no problem at all. Don’t forget to double check your date of birth when booking - incorrect information about your age could invalidate any claims you might need to make. Will Columbus Direct be able to help me if I’m 55? Not a problem. You’re welcome to buy single or annual policies – now all you need is to find your passport and book that holiday. I’m over 65 – will you still insure me? You can buy our single trip cover up to the age of 85, but annual policies cannot be offered to people aged over 74. If you are 80 or over and planning to travel for 31 days or more, then only Gold policies are available for trips of this duration. Over 74 and you need an annual package? Insure For All, our sister company, will be happy to help you out. I’m travelling with children aged under 16 – do they need insurance? Even the youngest children need to be protected, so please remember to include them on your family policy. Please remember that children cannot be insured under their own single trip policy if you’re booking online. In certain circumstances, such as travelling on a school trip or when they’re accompanied by an adult, children can have their own policy if you buy it via our call centre. Please call us on 0800 068 0060 and we’ll be happy to discuss your requirements. Will you take medical conditions into account? Yes, we will. You can find out more about our pre-existing medical cover here, or call 0800 068 0060 and speak to a member of our call centre. We accept hundreds of conditions, including diabetes, autism, a range of cancers, back pain, Alzheimer's, anxiety and dementia. I’m a student - can I get insurance? Students lead busy, active lives and travelling is the perfect excuse to find new adventures. We are happy to insure students, and we’ll be there for you if you need us. I’m travelling with my family – will you provide us with a family policy? Of course! We specialise in providing family insurance benefits include cover for numerous pre-existing conditions, up to £15m for emergency medical expenses and over 150 sports and activities are included automatically. Plus, up to 4 kids go FREE! We’re happy to insure globetrotters. Our Backpacker package offers worldwide protection, round-the-clock medical assistance services and cover for over 150 sports and activities at no extra cost. I’m pregnant – am I still considered eligible? Yes, as pregnancy is not a medical condition. You’ll be able to claim for reasonable emergency medical expenses with the pregnancy, provided you have not had any prior complications and you are not travelling against medical advice. Please read the policy wording as certain conditions apply. Will my health insurance protect me abroad? Some health plans will provide you with protection while you are abroad. However, we strongly advise that you check what’s included in your policy documentation before you leave the country. If I travel for work, is there a business add-on? Yes. Our business travel extension bolt-on provides travellers up to an additional £1,000 to compensate you for lost, damaged or delayed business equipment, or to fly out a replacement employee. Can I buy annual multi trip insurance? You can as long as you are not aged over 74 – and you can enjoy your holidays without the hassle of having to worry about buying a different policy every time. If you’re taking multiple trips this year, an annual policy could work out cheaper than having to buy two or more single trip plans. Over 74 and you need an annual package? Insure For All, our sister company, will be happy to help you out. What about long stay travel? We provide worldwide policies for up to 365 days away from home; perfect if you’re after an extended break or you’d like to enjoy a worry-free gap year. Back-packer policies can be purchased up to age 65. Can I buy gap year protection? We’re very happy to protect you if you’re taking some time out to travel. It’s designed specifically for adventure-seekers, and you’ll be able to claim for emergency medical care, loss of baggage and non-manual working abroad. Are there cheaper products available? We pride ourselves on our competitive prices (and we reckon you’ll have to go a long way to beat our low costs). You may find a cheaper policy, but be cautious – an alternative policy may not protect you as well as ours will. How can I find cheap travel insurance? Buy with us! We’ve insured over 15 million people since 1988, and we’re known for two things – our unbeatable value, and our customer-friendly prices. We like to think we’re one of the best in the business. For example, our silver annual multi trip to Europe costs from just £38.23*; that’s cheaper than Aviva, Insure & Go and Tesco. We’re also amongst the cheapest providers on the market if you’d like seven days of coverage in Europe, at just £11.02. * You can see a full breakdown of our prices compared to other providers below. Which is the best insurance provider in the UK? Well, obviously we’re going to say Columbus Direct - we think we’re top dog when it comes to unbeatable protection combined with great value! We invite our customers to review us on Trustpilot, and we’re proud to announce that they’ve given us five stars. Do you insure travel to Cuba? Yes. You’re free to explore the island's revolutionary history and its modern, vibrant Caribbean culture with complete peace of mind. Can I get coverage for travel in Europe? Yes. Indeed you can. We cover all parts of Europe, including the Canary Islands, Russia, Greece and Turkey. Does my EHIC card cover me if I’m travelling to Europe? 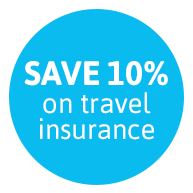 Even if you’re travelling within Europe, you still need insurance. Your EHIC card covers you for emergency medical treatment in state facilities but it won’t provide you with assistance services, repatriation nor will it cover costs in private medical centres- but one of our policies will. Can I buy insurance for travel to the USA? Absolutely – we’re happy to provide policies for US based-travel as well as travel to South America and Canada. Do minors under 17 need a policy? They do, so it’s vital you include them on your policy. 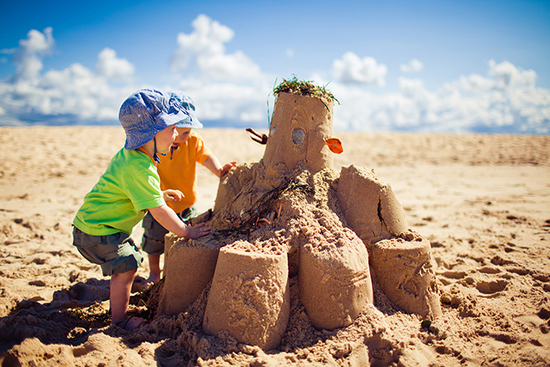 If you have an annual policy, children can travel independently under your Family package. * Prices shown in the table were collected in February 2016 for an individual aged 30. Single trip policies for 7 days travel. Columbus price is for a Silver policy and is compared to policies with similar levels of benefits from the competitors listed. Columbus Direct ®‎ is a trademark of COLUMBUS TRAVEL INSURANCE SERVICES LIMITED. Some of the benefits offered are subject to an excess: Cancellation, curtailment, medical expenses, baggage, loss of passport, missed departure, abandonment, valuables, cash and documents all have an excess applied. The value of the excess varies depending on the cover level purchased. All benefits are subject to the terms, conditions, exclusions and limitations of the policy, all of which can be found in our policy wording. You can also view our Policy Summary document which includes a summary of the key features and significant exclusions and limitations of the policy, together with other useful information about your policy. Columbus Direct has won multiple awards for our products and customer service.